You will be hiring an expert who has a solid understanding of heat transfer laws, thermal dynamics and properties of why objects are hot or not or appear to be hot or not. My infrared camera allows me to identify hidden problem areas much faster and (in most cases) can avoid building owners from using invasive and destructive measures in order to pinpoint problem areas behind finished/concealed surfaces of their building. When performing thermal imaging on a building, this amazing technology provides me with crucial information about issues that may be hidden behind your walls, ceilings, roof surfaces or any other inaccessible finished areas throughout your building. In providing this optional infrared service, I am now fully able to detect, interpret, map out and document hidden faults and anomalies for immediate corrective action. I can even prioritize specific repairs to certain concealed areas of your building if the issue is considered serious. Your home is one of the biggest investments that you will ever make in your lifetime. Choosing the right Thermographer for this major investment can be a very difficult task. Unlike most professionals, you may not have the opportunity to meet me until after you hire me. Different Thermographers have varying qualifications, experience, reporting methods and yes, a different pricing structure. They also carry diverse infrared cameras, digital cameras, high-tech equipment and tools. One thing for sure is that infrared inspections require a lot of knowledge in heat transfer laws, proper interpretations of IR camera readings and years of experience in the building science industry. Ultimately, a thorough IR inspection depends heavily on the individual Thermographers own effort. If you honor me by permitting me to thermally scan your prospective or existing home, I guarantee that I will give you my very best effort. I was very impressed with you on Monday when we met in Peabody. 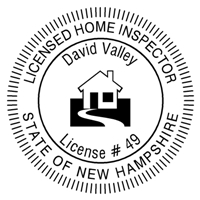 I have never seen a home inspector spend 4 hours doing the most total inspection you did. 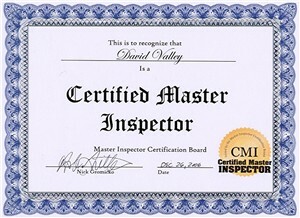 And not only doing the inspection but educating your client at the same time.